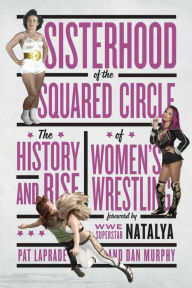 Hi…if you want your chance to win a free copy of “Sisterhood of the Squared Circle: The History and Rise of Women’s Wrestling” by Pat LaPrade and Dan Murphy, simply email me your top 5 female wrestlers of all time (plus a brief statement as to “why”). Send the contest submissions to: [email protected]. The contest ends 9:00am EST on Monday March 27, 2017. I will choose the submission I believe to be the most thought-out and educated. Listen to Dan Murphy’s appearance on OWW Radio here.